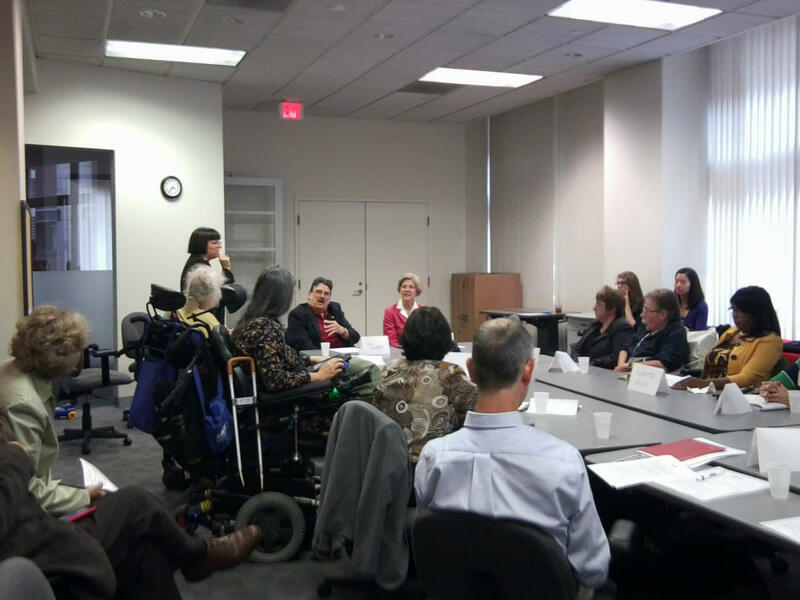 Elizabeth was thrilled to meet with statewide leaders and advocates today at a forum hosted by the Disability Policy Consortium. Elizabeth discussed a wide range of issues with the attendees, including federal funding for those on Medicaid and Medicare, federal funding for mental health services, and ensuring that children with disabilities receive a quality education. Sign Language interpreters translated the discussion for the hearing impaired, and Braille materials were available for the blind and visually impaired. “We need a senator who will understand that we are not here for a handout. We are not takers. We want to work and contribute and live on our own,” said one of the attendees. The meeting ended with the attendees expressing their desire to help Elizabeth reclaim the seat held by Ted Kennedy who had been a great friend to this community.